With hundreds of parts and fully assembled machines, IronPlanet offers you excellent choice. You can buy and sell Cab & Chassis Trucks from any all manufacturers, including brands such as Ford, Freightliner, International, Kenworth. 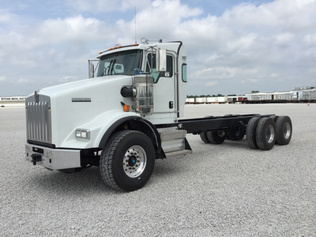 Browse the latest Cab & Chassis Trucks available in our auctions, including Cab & Chassis, S/A Bucket Truck: <50'. Expand your search: View more Cab & Chassis trucks for sale, available at live on-site auctions with Ritchie Bros.